William Jervois was a military engineer who rose to prominence as a result of Lord Palmerston’s extensive programme of fortification against a feared French invasion in the middle years of the nineteenth century. Ramparts of Empire is a detailed and engaging study of his life and works. As the first comprehensive study of this influential Victorian, the bookis an important contribution to military and engineering history as well as to the history of Imperial Britain. 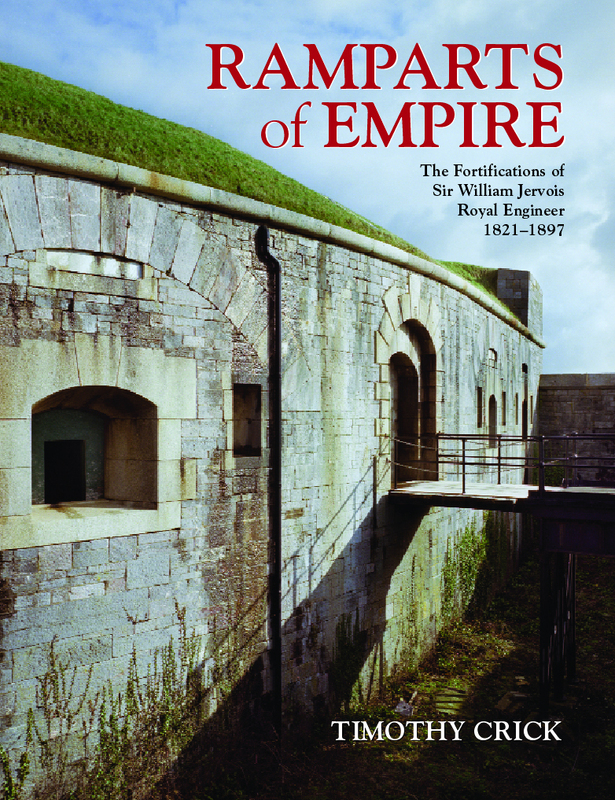 The text is richly illustrated with photographs and plans of Jervois’ forts, while supporting appendices provide a mine of supplementary information. This includes a gazetteer of Jervois’ works and documentary evidence of his involvement in plans for a Channel Tunnel and a proposal for attacking the seaboard of the United States. In 1860, Palmerston’s parliament sanctioned the construction of the largest system of fortifications that the British Isles had ever seen, or would ever see again, to defend against a feared French invasion. For William Jervois, then a young major in the Royal Engineers, his appointment as ‘design leader’ of this programme was a major step in a career in fortress construction that would see his work in Britain, the Channel Islands, Ireland, Canada, Bermuda, India, and later, Australia and New Zealand. Timothy Crick makes extensive use of extracts from Jervois’ diaries and illustrations of his fortresses to give the reader a rounded picture of this Royal Engineer’s wide-ranging career. He also captures a real sense of the fears of invasion that prevailed in this period. Throughout the book both the political background and the technical considerations involved in constructing forts and armaments are carefully explored to flesh out the motivations in what is sometimes referred to as the ‘Golden Age’ of British fort building.